Yesterday was the Great Diaper Change of 2013. I figured I would write about cloth diapers and help bring awareness to how great they are! Did you take part in the festivities this year? 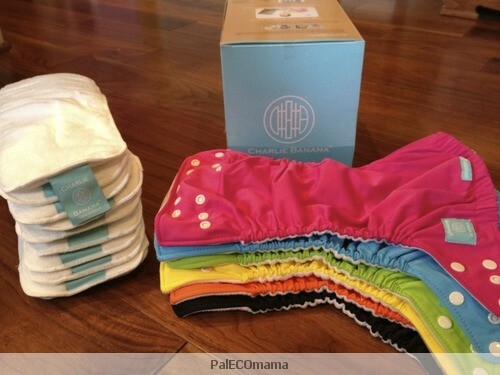 When I was pregnant with my first baby, I looked into cloth diapering. There was so much information out there. I became overwhelmed. Microfibers, organic, all-in-ones, all-in-twos, pockets, hybrids, pre-folds. The list goes on. And that was just the diapers! The washing routines, the wipe choices, the storing, the travel. I turned the other way and went with disposables. Many of my friends cloth diaper and love it. Their babies always look so cute in those fun and colorful diapers. I started thinking about cloth diapers again and told myself, well maybe I will look into it again for the future. Just as Miss K was potty trained and out of diapers, I found out I was pregnant with baby number two! Like her sister, I started out baby B in disposables. When she hit about four months, I decided to do more research. I asked my friends for advice, and checked out blogs and websites. I took the plunge and bought a set of gDiapers. I figured these would be the easiest to start with. If I liked them, I could go from there. These are a good starting point diaper, in my opinion. gDiapers use both cloth inserts or an insert you can either throw away, or flush down your toilet. I chose to try both. I ended up only somewhat liking them, but wasn’t quite ready to give up on cloth yet. I did like the cloth insert gDiapers came with, but was not thrilled with the flushable inserts. They are sized, and the size I got didn’t quite fit Miss B. She had a lot of leaks. Not the companies fault, they just did not fit my slim baby. I did more research and decided to try out a pocket diaper. I went with the bumGenius 3.0 one size. These fit a wide range. I tried it out and from then on I was hooked! I’ve tried out various brands and styles, and like most cloth diapering mamas, I have my favorite go-tos and a couple I can’t stand to use. The majority of our stash is a brand called Charlie Banana. They come with two microfiber inserts, and are marketed as hybrids. We have a few bumGenius diapers in various styles, and a couple of Work At Home Mom diapers. I recently found a brand called Sprout Change by Willow. Super simple, slim and easy to use. The shells are also reversible! The one I bought came with three soft, organic hemp inserts. I use all of these on a regular basis and love them. I had a few issues with laundering the diapers. This is very common and, with a little research and advice from fellow mamas, you can easily figure out how to troubleshoot any problems that arise. There are so many blogs and websites dedicated to cloth diapering. If you happen to run into a problem there are answers for you somewhere. Like I said, starting out the options were overwhelming for me. In reality, these choices are great. An option and answer for everyone is out there, if you so choose. To be honest here, I did not start cloth diapering to save the earth or save money. Although those are great perks, as long as you don’t go over board with the cute designs and colors for your stash. The reason I started was for my daughter’s health. The chemicals in standard American disposable diapers are awful. Let’s start with dioxin. The EPA lists this as the most toxic of all cancer-linked chemicals and is banned in most countries, but not in the US. Next up is sodium polyacrylate, that highly absorbent gel you find in diapers. In the 1980s, a similar chemical was used in extremely absorbent tampons, until they found this material greatly increased the risk of TSS. And lastly, TBT, a toxic pollutant known to cause hormonal and reproductive harm in both girls and boys. The thought of these chemicals on my baby, 24 hours a day, up against the most sensitive areas for years to come was worrisome to me. My only regret is not changing over to cloth sooner. Especially with my older daughter. I like to keep things simple. I have around thirty diapers I keep in rotation for daily use and stored in the diaper bag. For dirty storage I use the dry pail method. It’s simply a five gallon bucket I got at Home Depot. No liner, I just rinse it out every time I do a load of diapers. I use and love a DIY diaper sprayer and this invention is a life saver. Love it! I have one wet bag I keep in the diaper bag. I have twenty-eight cloth wipes and my homemade wipe spray. I use coconut oil for rashes and liners I made out of flannel receiving blankets. My current laundry detergent of choice for diapers is bumGenius. 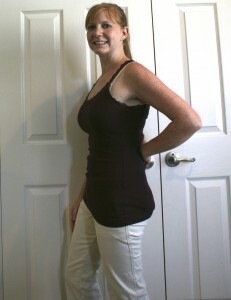 Ive tried various detergents and, so far, bumGenius works best for me. I wash every two to three days, depending on when the pail gets full, or I have only four to five clean diapers left in the stash. I won’t go into my wash routine since this will vary widely from person to person. I know cloth diapering isn’t for everyone. Do you cloth diaper? If you don’t, have you ever thought about it? If you do cloth diaper, what made you decide to go for it? I don’t know what meal time is like at your house, but if it’s anything like ours, it can be a bit daunting. Between the diet limitations for myself and our picky eaters, serving up the same old meal time after time can be quite boring, to say the least. I like excitement in my dishes. With so many spices, vegetables, fruits, and various ingredients to play around with, there should never be an excuse for dull meals. Trying new things and experimenting in the kitchen can be fun! So today, I took our usual, plain old tuna salad and revamped it a little. Open and drain the tuna and sardines. Add both to a medium size bowl and mix. Add a pinch of salt. Cut up the pineapple and add to taste. You can either use canned or fresh. Cut up the pickles and add to taste. You can use relish if you want, but I find most relishes have sugar added or other ingredients like dyes and thickeners. Add the garlic. Slice the avocado in half and discard the pit. I mix a bit of the avocado into the salad. This makes more room in the avocado and adds creaminess to the salad. Drizzle the tuna salad with olive oil and give everything a good mix. 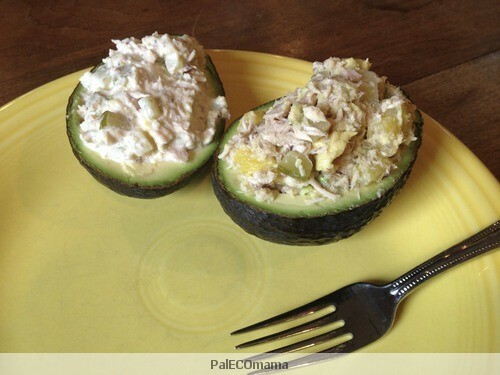 Spoon the tuna salad into the avocado bowl. 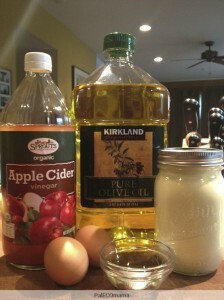 Add a pinch of sea salt to the top and feel free to add more olive oil if you wish. I also made a version with my homemade olive oil mayonnaise for the girls, since that is how they prefer their tuna salad. For that recipe, I stopped after the pineapple and pickle went into the big bowl. I spooned half the contents into a separate bowl and added the mayonnaise to taste. I then added half of the extra avocado fruit and mixed well. When I started the Whole30, I realized my favorite go-to lunch items would be off the menu due to lack of mayonnaise. In hindsight, this was more of good thing. Most store bought mayonnaise has quite a shady list of ingredients. Corn syrup solids, or other added sugar, EDTA, canola or soybean oil, just to name a few. Even the so-called healthy olive oil mayonnaise on the store shelf has soybean and/or canola oil listed as the first ingredient. 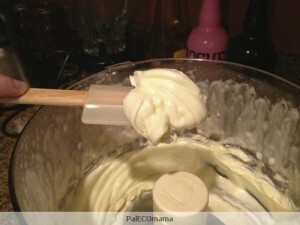 So, my husband and I set out to make a truly healthy and tasty version of mayonnaise that I could use. It is so good in tuna salads, egg salads, chicken salad, various sauces, and dressings. I believe the key to this mayonnaise is the use of a food processor and a hefty dose of patience. Into the bowl of a food processor, crack the eggs. Add the salt and vinegar, pulsing five times to blend the ingredients. Turn the food processor on and leave it on while slowly drizzling in the olive oil. I can not stress enough that this step needs to be done very slowly. It should be the smallest ribbon of oil, without it just dripping. It is all about the emulsion. 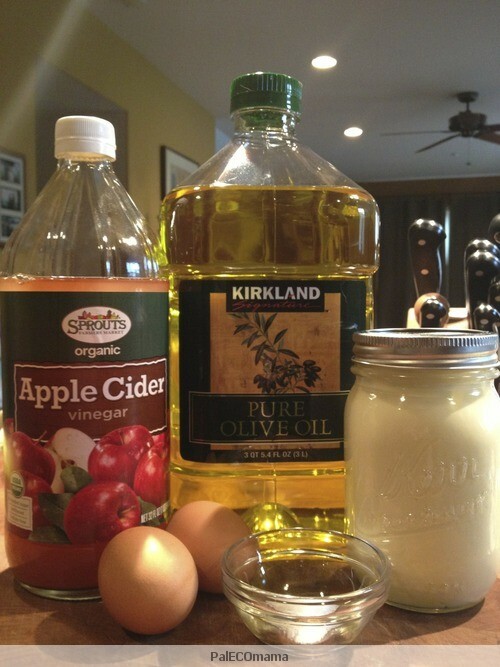 One easy way to drizzle the oil is by pouring from a measuring cup with a pour spout (like Pyrex). The whole thing takes around 5 minutes. Simple and fast! You can also add in other seasonings to spice it up! Try Smoked Paprika, Cayenne pepper, mustard seed. The options are endless! This mayonnaise should be good stored in your fridge for one to two weeks. To roughly calculate an expiration date for your mayonnaise, take the end date for your eggs and add one week. If you find you are not going through the mayonnaise as fast as you thought, or simply want it a bit fresher, make less mayonnaise, but more often. For that you can simply halve the recipe. The directions as the same as for the full recipe. I hope you enjoy this recipe! If you try it let me know what you think. Have you ever made mayonnaise? Before I begin my story, let me tell you a little bit about this incredible program known as the Whole30. It is a life-changer. 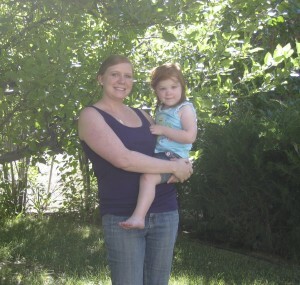 Before: Me with my daughter, at the beginning of our paleo journey, pre-Whole30. The Whole30 is a thirty day reset button for your body and a tool to help you learn how foods affect you, both physically and emotionally. It teaches you how to make those healthy choices in life, even after the thirty days are up. And it gives you a healthier relationship with food. It is eating only clean, whole, healthy, nutrient-dense food. There are four good food standards in this program. They all promote a healthy gut, a healthy mind, a healthy immune system, and lastly a healthy metabolism and hormones. Everything you put in your mouth to fuel your body has an impact on your health. Any food that negatively affects any of those four standards is out. You may not even know these foods are affecting you in a bad way until you take them out of your diet for at least thirty days. At the end of that time, you slowly add items back in and see how you feel. The founders of this awesome program also wrote a book that I highly recommend to everyone, even if you aren’t doing the Whole30. It Starts With Food by Dallas and Melissa Hartwig. This book is incredible. I’ve bought several hard copies and electronic versions to share with my friends and loved ones. It Starts With Food explains what specific foods do to your body, both good and bad. It has the science to back it up and it is super easy to understand. Now on to my story. I had heard about the Whole30 numerous times. My thoughts on it? It sounded hard. Really hard. I was already paleo, although not very strict. We ate cheese, pizza, cream, lots of so-called paleo desserts, and ice cream. I had a relationship with ice cream. I adored it. I craved it. Sadly, it did not feel the same for me. I was having issues with my hormones again, with my autoimmune disorders flaring up pretty badly. I was having headaches, my skin was not at its best, I was not sleeping well, and mostly, I was really uncomfortable in my own skin, despite having lost weight on the paleo diet. The Whole30 kept showing up here and there among the blogs I follow. Unfortunately I kept making excuses for myself. It’s too hard. I won’t be able to do it while breastfeeding (although thinking back, that thought was silly—what is more healthy than eating a nutritious, nutrient-dense diet while breastfeeding?). I can’t find a date to start, because I had stuff going on where I knew I was going to be eating non-compliant foods. I don’t want to give up certain foods (like ice cream). I enjoyed eating out at restaurants too much. The list went on and on. And so did the feeling of being out of control of my own body. I had to do something. I had nothing to lose. So I bit the bullet and stopped making excuses. You see, there will always be excuses as long as you keep making them. I set a start date of July 9, 2012. A lot of people start at the beginning of the month, but I had waited long enough, I did not want to wait even longer. So here I was trudging along on my Whole30 journey. It was hard at first. I craved so much sugar at first! I kept telling myself this will be worth it. It’s only thirty days. Before I knew it, things were changing for the better, and I was coming up on the end of my thirty days. It definitely got easier as the days and weeks went on. I picked up new, healthy habits. I learned how certain foods made me feel, and how dependent I was on sugar. And just like that, my thirty days were over. How did that time change me? Fueling my body and mind with only nutrient-dense food made me feel completely amazing! For starters I lost 11 ½ inches, seven pounds, and 5 percent body fat, all of which I was able to maintain after it was over! My clothes fit way better. In fact, I dropped two sizes in pants and two sizes in tops! The sugar addiction is gone. Which is awesome, since I was a huge sugar addict before this. My skin got clearer, and my hormones are better adjusted. I have no more headaches, and tons more energy. I’m sleeping better, falling asleep easier and sleeping more deeply. Despite my baby waking multiple times every night, I feel more rested than I have in a very long time. But the best part was that my autoimmune problems started to correct. That is a big deal. Previously, I was on nasty steroids for my psoriasis. After a while, they had stopped working for me. I knew I was going to need a heftier dose, or something different when the time comes to wean Miss B. I am so glad this new way of eating was the “something different” I needed. I felt good to be putting only healthy food in my body, nourishing both myself and my daughter. Skipping ahead to my second Whole30. Start date: January 29, 2013. I had slipped back into my old ways of eating. Even though I knew it was a slippery slope and I knew how bad those bad food items made me feel, both emotionally and physically. The wonderful thing about the Whole30 is you can always do another Whole30, or a Whole14 or a Whole-whatever, if you need to get back on track. I wanted to to get back on track. I also wanted to combine it with the Paleo Autoimmune Protocol to see if it would help, basically eliminating any trigger foods for my psoriasis. You see, slipping up set back any healing I had done on my first Whole30. In addition to eliminating grains, legumes, dairy, soy, any processed food, added sugar, and alcohol, I am avoiding nightshades, eggs, and nuts. Anything that can trigger an inflammatory response. So you might be asking, “What on earth can you eat?” I eat only wonderful, healthy, healing foods. Seafood, pastured/grass-fed beef from a local farm, organic chicken, vegetables and fruits in as many colors and varieties I can find, healthy fats from avocados and olive oil, and coconut everything (milk, butter, oil, meat, and even water). Lots of fermented foods, such as pickles, sauerkraut, and kombucha to promote good gut flora. Bone broth and soups to promote healing. I really enjoy giving my body what it needs and crave only healthy foods now. I do not feel deprived in any way. I feel I am getting a good variety of nutrition and vitamins in my food. The only supplements I take are fermented cod liver oil, for vitamin K2, and vitamin D.
It is now the middle of April, 2013, and I am continuing on this path of health and healing with no intention of going off of it any time soon. I still have good days and bad days. Luckily, the good outweigh the bad. Since I technically finished the Whole30 back on the first of March, I do allow myself some good quality dark chocolate—73 percent cacao or higher with no dairy or soy—as a treat, or occasionally local raw honey in my green tea. After all, the program is not called the Whole365. As long as those once-in-a-while treats do not become an every-day thing and they do not start controlling you. Now: Happy, healthy and enjoying life! Oh, and do you know what else is so fabulous about the Whole30? Besides the amazing way you will feel during and after the program, the freedom you will gain, and the weight you will lose? Melissa and Dallas Hartwig did all this amazing research to help others . . . for free! There are newsletters and of course the book, but they are not required to do the program. Go check out the site and the forums. The testimonials are truly inspiring. Stop making excuses. Get a friend or a spouse, or both, to join you and start! You will not be disappointed. I guess I should start from the beginning and write about how I got to this place in my life. 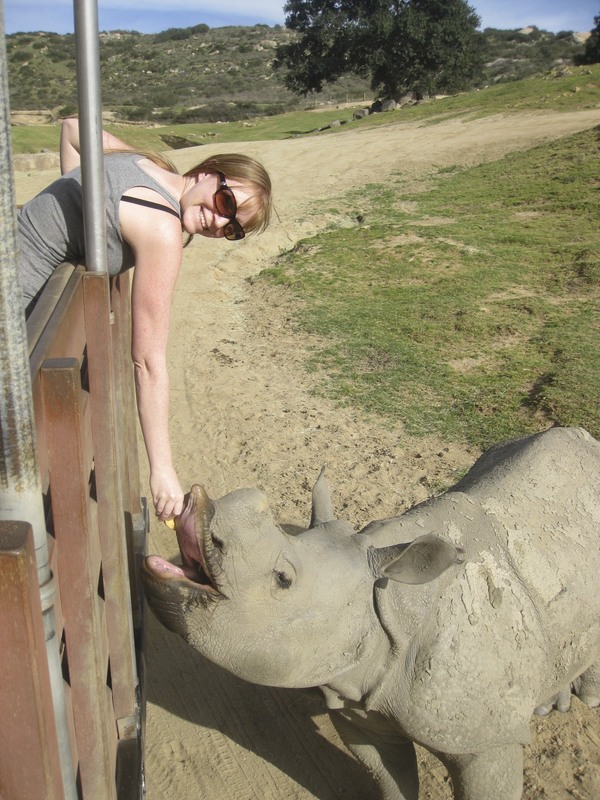 I wasn’t always a Paleo-living, eco-friendly person. It wasn’t until I found out I was pregnant with my first baby, back in 2008. It took my husband and I a good long while to conceive to begin with. We were eating the standard American diet (the SAD) and not caring much what we put in our mouths and on our bodies. Cut to me being diagnosed with gestational diabetes. What? How can that possibly be? Well, it turns out that was a blessing in disguise! We did some research and started eating a low carbohydrate diet to control my blood sugar, which worked perfectly. After the delivery of the baby, we went back to eating not so low carb. I ate tons of quick, cheap Costco pizza, and ice cream galore. After all, I was breastfeeding and needed to keep my calories up! Except I may have gone a little overboard. My husband and I found ourselves overweight and out of shape. Something needed to be done to change that. We wanted to be able to keep up with our kids and set a good example for them. Both with nutritionally and physically. We knew low carb worked for us, so we went back to that for a while. Skipping ahead, we started reading blogs and doing some of our own research and eventually found our Paleo/Primal lifestyle and never looked back. We are more healthy, energetic, and happy than we have been in a long time. We got pregnant with baby number two a bit easier and quicker than the first time around, despite having a known fertility issue. Pregnancy, delivery, and life after baby has been so much easier as well. My husband had suffered most of his life with allergies and asthma, both of which went away with the switch to a Paleo lifestyle. We both lost weight as well. I have an autoimmune disorder, which Paleo has helped with, but hasn’t completely went away. It did get way better doing the Whole30, though. I will go more into that in another post. Now, somewhere along the way I started thinking about the way putting healthy, whole, unrefined foods into our bodies made us feel. I thought to myself, why am I putting these wonderful, whole, healthy foods in my body but slathering on tons of nasty chemicals on my skin—on my kids skin? I slowly started switching over to more eco-friendly options. Cloth diapers, organic, chemical-free face cleansers and lotions, laundry detergent, shampoo and conditioner. You name it, I switched it. At this point in life, I have found making my own stuff is fun, and economical as well. That is what this blog is all about. I will be sharing recipes from the Paleo/Primal, autoimmune, and Whole30 world. Along with my various beauty recipes and posts about living our life as eco-friendly and health-conscious as we can.